4.On this page, you will see a box, which allows you to place a bid. You will need to enter your secret maximum bid. If you are not logged in, you will then be prompted to enter your user name, and your password. The secret maximum bid is the maximum amount you are willing to pay for the item you're interested in. However, your current bid at any time will be the lesser of your maximum bid or one bid increment above what any other bidder has bid on your item. Click on the button marked "Place Bid" again to continue. 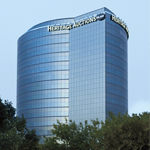 The big Heritage auction has come around, and you've found that item you want. You've placed the bid thatyou know will win the item for you. But while you know you're the leading bidder, the current bid keepscreeping higher and higher. Will your bid hold out against the Internet bidders who show up in the last tenminutes of the auction? Will it be able to win the lot against the people on the auction floor? Because you have already entered a bid on the Heritage site does not mean you can't enter another. You canincrease your bid simply by bidding in exactly the same way you placed your original bid, through thepage describing the individual item, or you can increase your bid through any of the pages that allow BatchBidding. You do not bid against yourself; your bid is merely changed to the new amount and the current bid -what the item would sell for if the auction ended immediately --- is then recalculated. Note: Increasing your maximum bid when you are already thehigh bidderwill NOT result in an increase in the current bid. Bid Protection gives you an additional chance to win by automatically increasing your bid by theincrement(s) you select, as needed, if you are outbid during the live event. This protects you from being"sniped" at the last moment. Bid Protection can be entered at any time except for on the current lot and thenext, upcoming lot during Heritage Live. It's simple. Just check the Bid Protection box and select the desired number of increments (½, 1, 2or 3) when you place a bid. There are several places where you can add Bid Protection to your bids. Click to select Import an iCalendar or vCalendar file (*.vcs) , and then click Next.